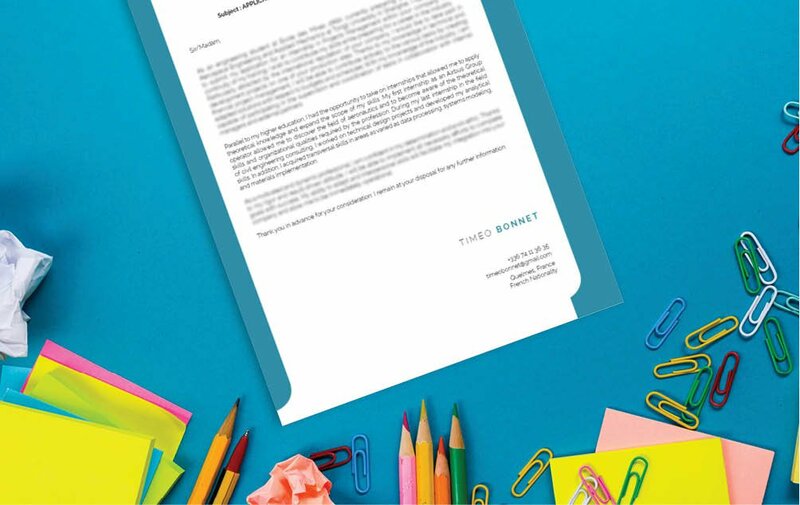 Blow away the competition with this management cover letter. Crisp and clean design made for modern professionals. 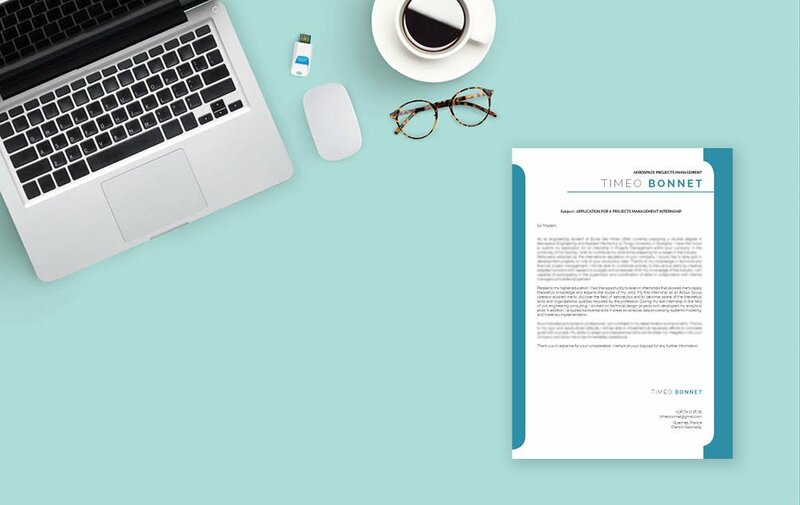 Cover letter to download "Engineer-2"
This template has a cleanly laid out format that is sure to impress any recruiter! 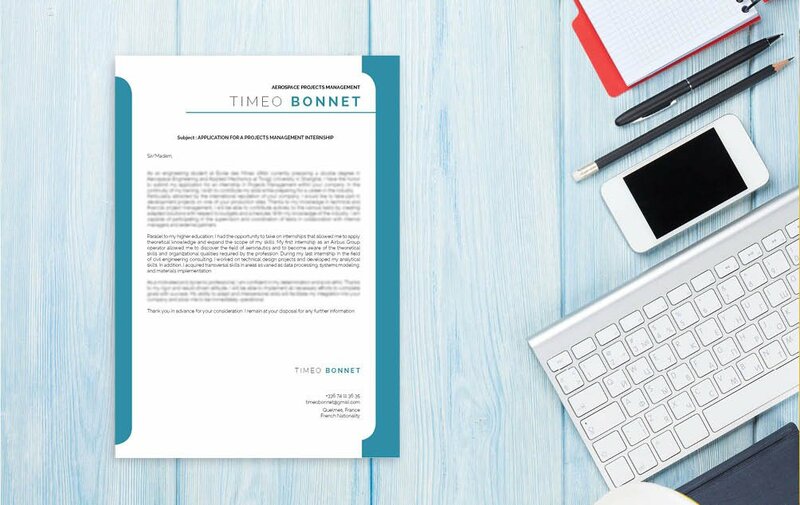 This modern template features a Cover letter format that can be easily used for any type of job application. For those applicants who have a solid set of qualifications—this cover letter is sure to be of good use to you as it clearly presents all the pertinent information with great detail! 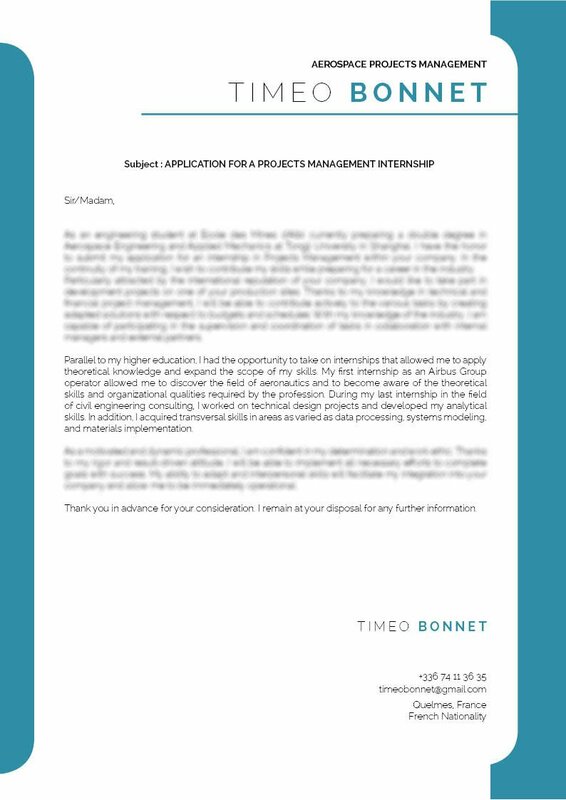 Rest assured, this is one cover letter template that will increase your chances of landing that projects management internship! Make it clear and concise! A cover letter written with a straightforward and effective format will greatly increase your chances of land that dream job! But how to create such a cover letter ? Well, it ‘s simple! Choose a simple, yet professional looking fonts such as Serif or Sans Serif. Select a font size between 11 and 12, and use italic/bold font styles to guide your reader along with your cover letter with ease. Make good use of graphics/bullets points to give emphasis to the key parts of your cover letter. Lastly, give your cover letter a logical format by using wide-spacing, headings, and subheadings.